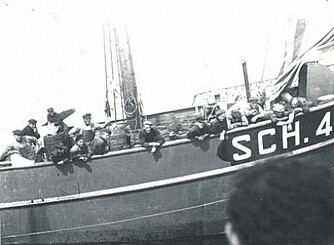 - The ship as a way of transport. - The ship, decks, and masts as scene and back drop to the show. - The ship as artist residence (10 private cabins with in total 13 beds). 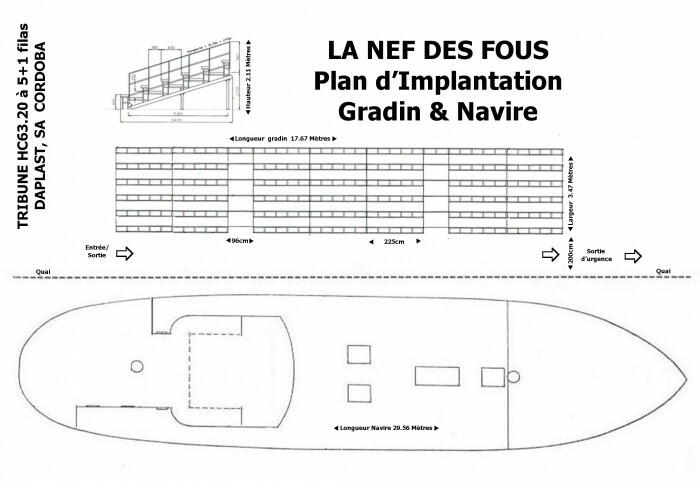 - A 60-m²hull used as kitchen, workshop, rehearsal room and inside theatre for about 50 guests. - A dressing room full of own made costumes/props. - A light and sound system, with own generator. - A tribune for 242 persons as outside theatre and meeting place. (17.67 m.. x 5.50 m on the quay). 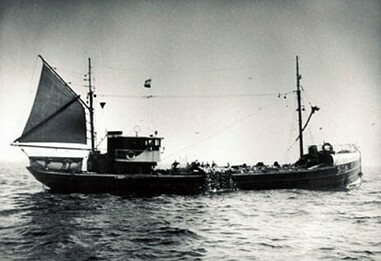 This iron ship was built riveted in 1916 as any typical Dutch sailing herring-net vessel of that era. In the first two years of her existence she served as sailing transport vessel in the inland waters of Holland as war raged over Europe. From 1918 she dedicated herself fully to the chase of millions of herring, a career she would fulfil for well beyond half a century on the stormy North Sea waters. In 1929 she got her first 110 HP motor and the skipper a small sail to protect himself from the wind. She was known in those days as ‘the red logger’ to distinguish her from her Scheveningen sisters who were all traditionally black. In 1940 she was seized by the German Navy who installed guns and a 180 HP Deutsche Werke for patrolling activities. 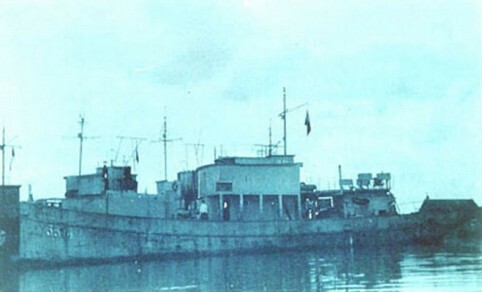 After the war she was lengthened by 8 meters to carry more herring. In 1959 she got her present motor, a 220HP Industrie as well as her present bridge which was a second-hand-one from an old steam-logger. 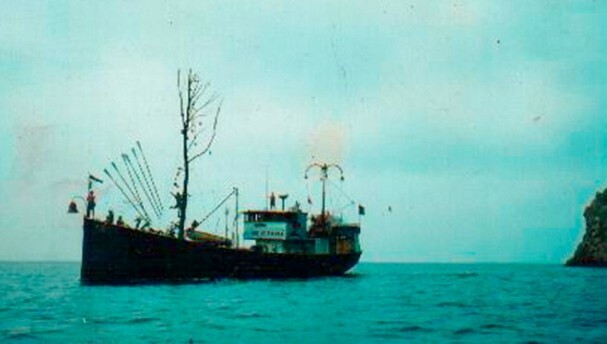 In 1971 she was the last ever ship who employed the herring-net technology over a tradition of 5 centuries which brought Holland protein and prosperity. She then served some years as a herring transport cargo from Iceland and Norway and later as a North Sea One-Day-Trip Fish&Beer experience. In 1978 she was reduced to her original size. 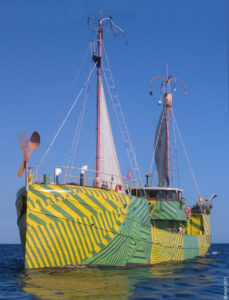 The cultural foundation Azart bought the ship in 1989, called her Azart and transformed her in a Ship of Fools, home and transport of an artists’ collective and theatre company. Build in 2008 by Daplast, Cordoba, Spain.